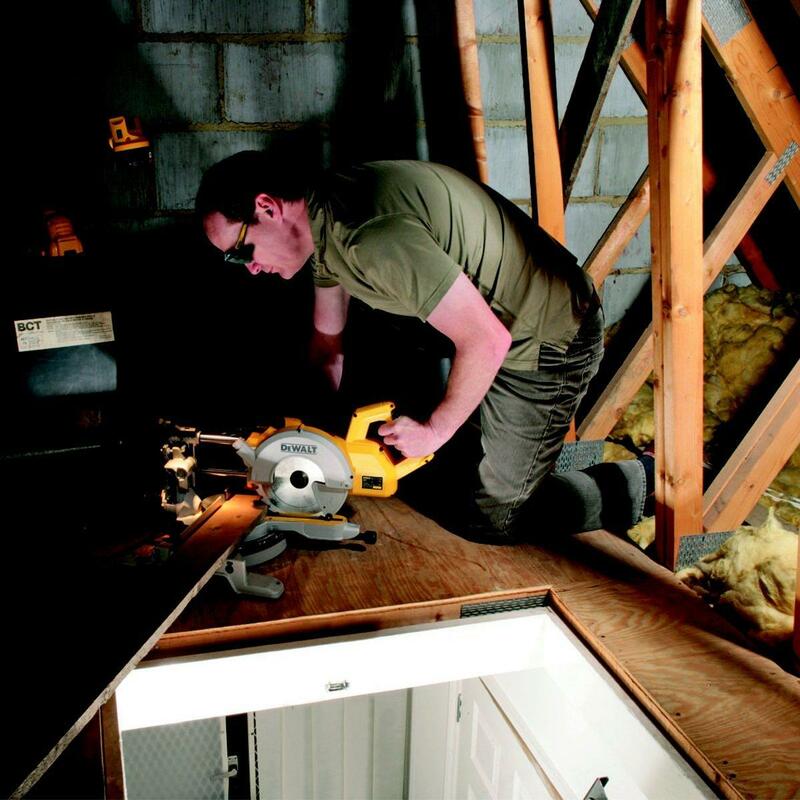 The DW777 is the best mitre saw in the Dewalt range. Now I am a huge Dewalt fan, but many other buyers agree with me on this choice. It is rated very highly by Amazon buyers, and other buyers on different websites. Yes it is expensive, but if you are looking for a real work horse, that is very accurate and will last for years, then this is the saw for you. This is the type of saw that professionals will use on a daily basis. It is also an ideal choice for those who take their DIY very seriously indeed. The simplest way that I can sum this one up is to say, that if you can afford this saw, then don't hesitate. It is very high quality, extremely accurate and will last you for many years to come. I normally don't say that about any product, but this one is just top class. 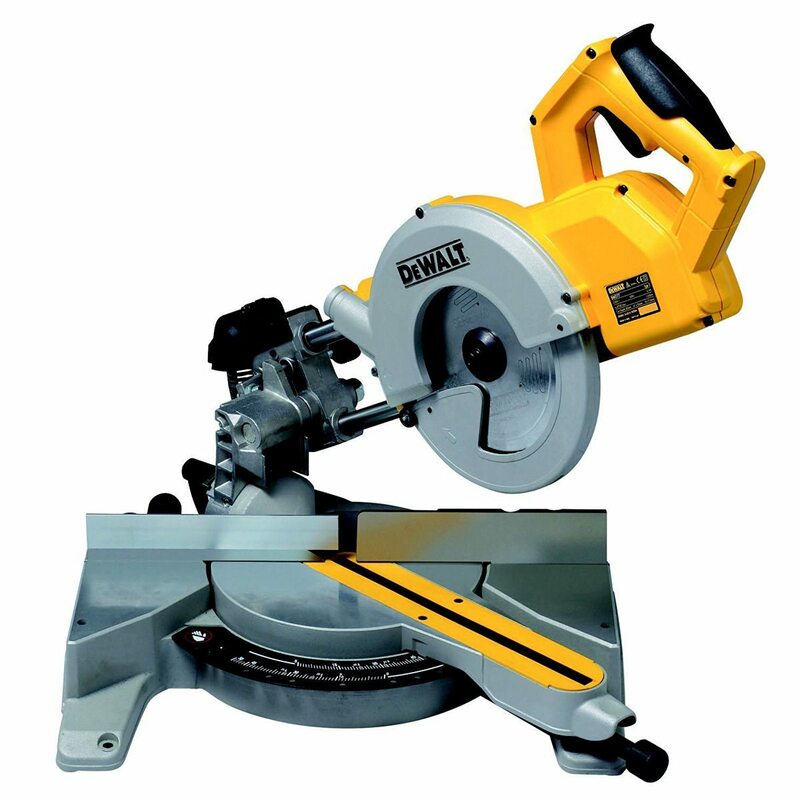 With an 1,800 watt motor, this saw can get through any material. I call this one the Ronseal saw, because it does what it says on the tin, if you will pardon the pun. It has a rigid and solid feel and that allows you to make accurate cuts, with some ease. 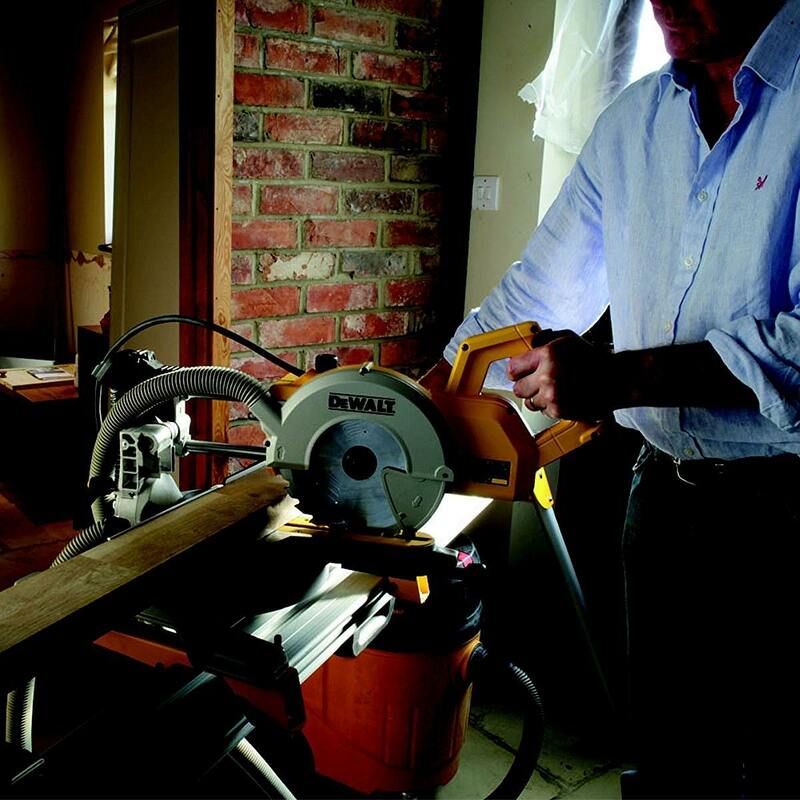 As you know there are plenty of choices when it comes to buying a mitre saw. Forking out almost £240 is not an easy decision. There are many other good quality saws that are cheaper than this one. Many people will believe that you are paying for the brand name as much as anything else. To some extent that is true, but you should know that you are buying the best quality tools, when you own a Dewalt. This model is smoother to use, and I think it is a great deal quieter. The cut is what is the most impressive though. The supplied blade is a 24 tooth, It is sharp and offers a very fine cut. It is light enough to be portable, but in my opinion, this one is better suited for the workshop, shed or garage. At 18 Kg it is not the lightest to move around. Buyers do complain that despite the price, there is no actual dust bag with this. If you want to hook it up to a system, then you have to buy the connecting piece. They cost another £60. I think Dewalt should at least supply a basic dust bag with this given its high price. I like this saw a lot despite no dust collection bag. I do most of my work outside so dust is never that big of an issue for me. I would be nonetheless annoyed if I bought this to use indoors and found that out. I have an internal workshop dust extraction system so not a huge issue for me. It is however a tough saw that will do plenty of work. I also like the accuracy.